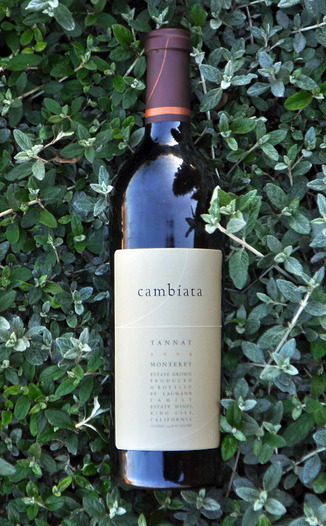 Today’s 2009 Cambiata Winery Tannat comes with our highest recommendation. 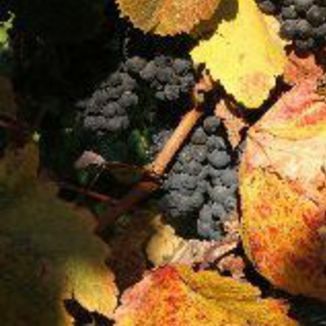 If you are not familiar with the Tannat varietal, here is a little background: Normally found near the Pyrénées, in the Basque-influenced region of France, Tannat is often characterized by its bold, concentrated and tannic structure. Tannat is a big wine, not unlike Petite Sirah or Petite Verdot. Today’s was so well-loved at our recent tasting panel that nearly every panelist pre-purchased some of the wine for their own cellars. This wine is rich, delicious, aromatic and packed with flavors. Normally a great food wine to pair with rich, fatty foods, we actually think this would be a fantastic wine to enjoy all on its own. In fact, this wine could easily replace a meal. When you do pair it with food, enjoy it with something rich like Asian short ribs, duck confit, duck l’orange or Peking duck. Don’t miss out on this fantastic wine, from the modern master of California Tannat! Vibrant dark purple with a pretty garnet edge. Tall, branching legs start high up on the glass, retaining color as it moves slowly down the glass. The wine coats the entire glass with dark maroon color that clings to the glass wall. Smoky coffee and smoky dried meats meld together, giving way to deep black fruit of ripe blackberry, stewed plum and mission fig. Loamy earth, softly charred meat and savory dried mushroom appear after the wine has opened up a little. As on the palate, this wine is savory and delicious. Dark pomegranate, darkest blackberry, concentrated dark unsweetened grape compote and dried fig. Subtle spice and subtle sweet oak round out the flavors. Light tannins support a great deal of savory flavor for a very long time. Sweet and tart, this wine lingers forever on the palate.